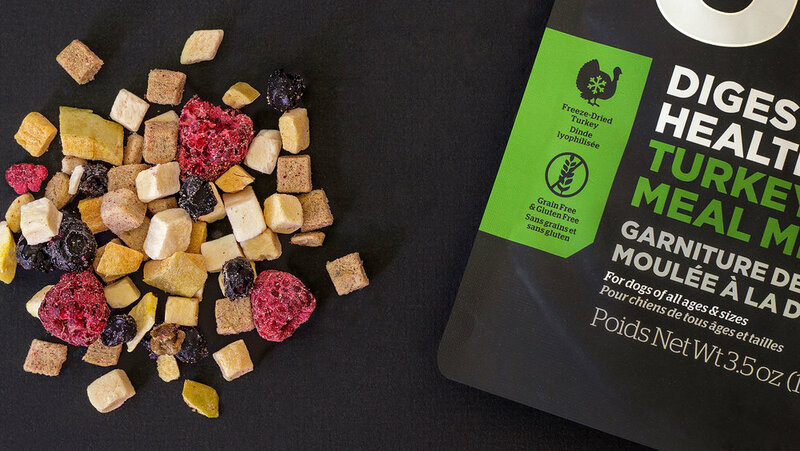 Petcurean has come out with a new range of meal mixers in order to spice things up for all the precious furry ones out there. “The GO! 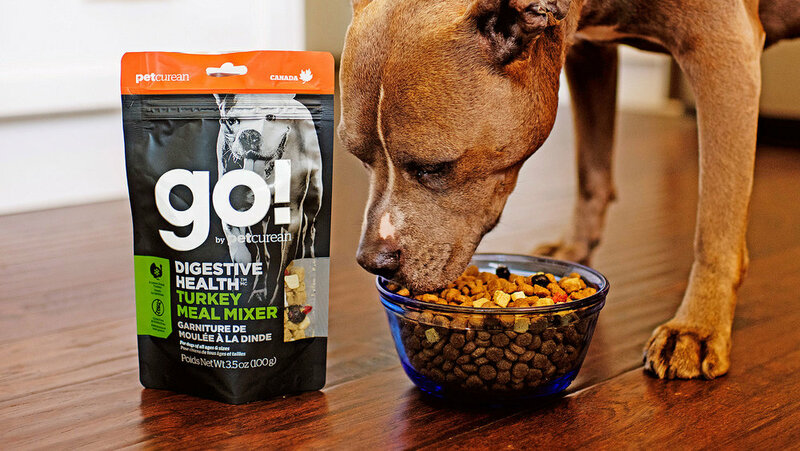 Solutions™ Meal Mixer line features four specialized recipes for dogs: Digestive Health Turkey Meal Mixer™, Hip & Joint Support Pork Meal Mixer™, Skin & Coat Care Salmon Meal Mixer™, and Weight Control Turkey Meal Mixer™. 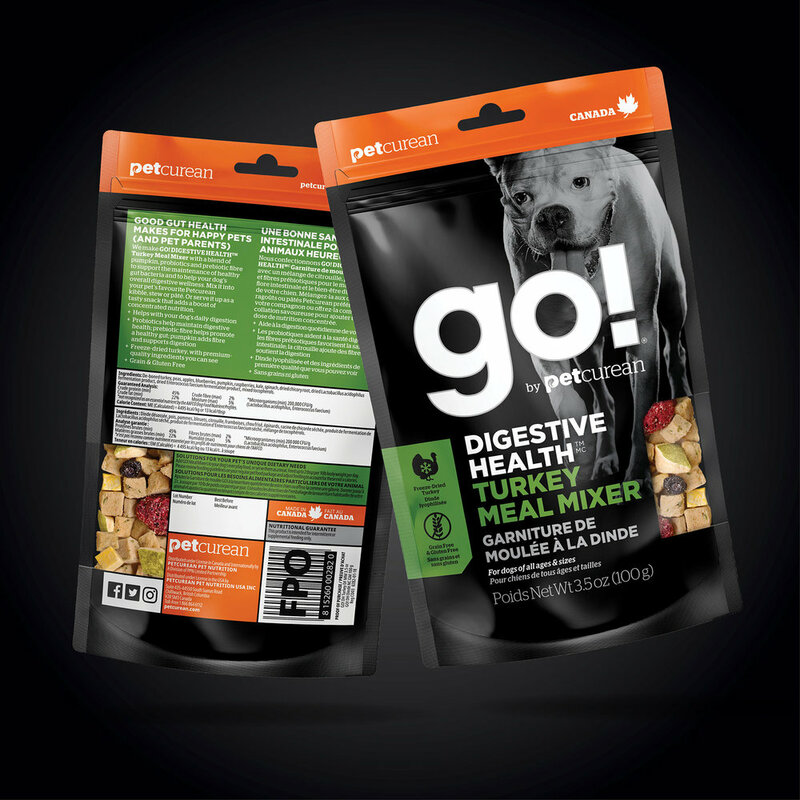 Each recipe is made with freeze-dried nutritional and functional ingredients including single source primary proteins and whole fruits and veggies that you can see. 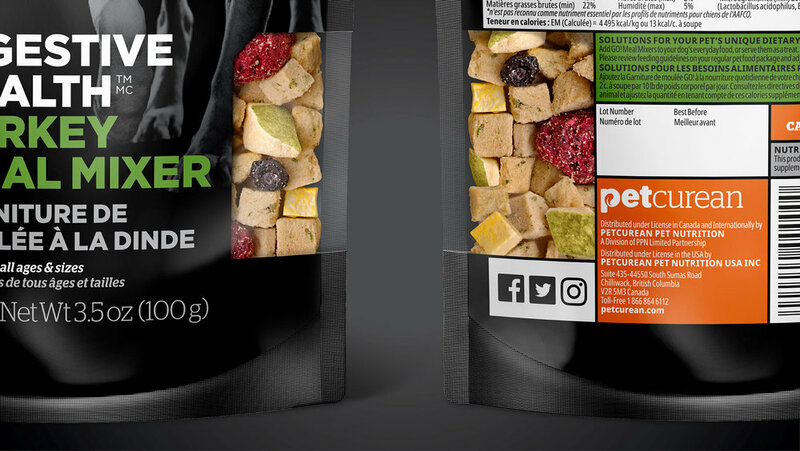 “Along with the new prominence given to each solution and recipe on the front panel, an icon panel identifies key product attributes such as the freeze-dried, premium protein and grain-free recipe. 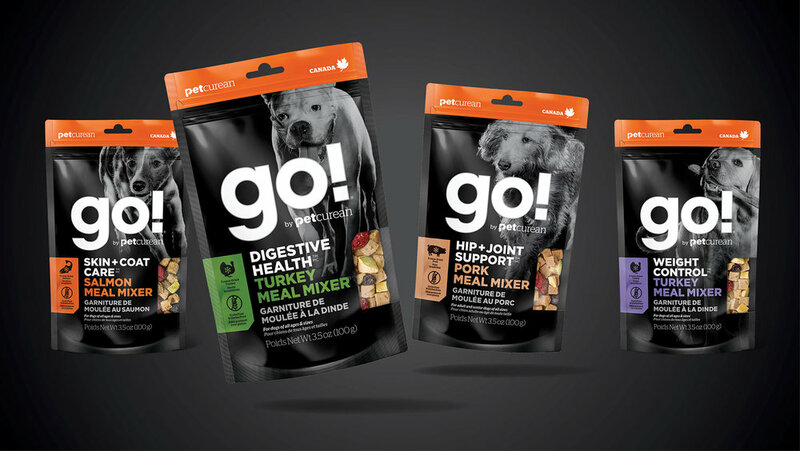 Printed on matte silver foil substrate with a unique clear window on the outside seam of the pouch pak, the line continues the GO! Packaging system while carving out a unique format for Meal Mixers.